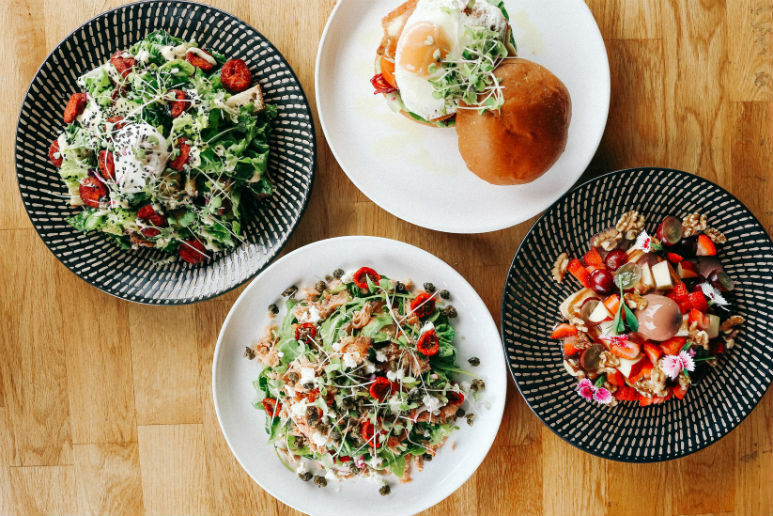 If you're going to keep to one New Years resolution this year, make it this: Go and try the food at Daark Espresso in Chirn Park. Lovingly opened in November of 2013, this cool space has been serving up delicious food and perfect coffee ever since, bringing out their latest Summer menu just this week right in time to cure all of our back-to-work blues! Settle down in one of their comfy booths with friends and grab a coffee before work, or stick around for brunch and enjoy Belgian Waffles or their super creative Bao Benedict - Created with Canadian Bacon, Avo and Poached Eggs all placed in a fluffy Bao! Are we making you drool yet? Because we sure are! Also, don't forget to bring along your camera - Their food is super #Instaworthy as well! School has been out for about a month now, and unless you're a super-Mum I'm pretty sure you've just about run out of ways to entertain the small ones by now - So Tweed City Shopping Centre is coming to the rescue! Running a Summer Playground Pop-Up within the Shopping Centre from Jan 7th - 27th (hello air-con), you can let your little ones run free while you enjoy a coffee nearby, with plenty of kid-friendly games and craft for them to enjoy. Jump in the ball pit, play Summer games or get creative with glitter, then finish the morning off with a glass of lemonade from their refreshing lemonade stand! If you want to make a full day out of it, why not hit the shops or the beach afterwards for an afternoon out? This humble gem in the Northern end of the Gold Coast is never short of surprises - Particularly when they bring out a brand new Summer menu full of totally mouth-watering dishes! Hidden just off of the M1 in Oxenford, Black Sheep is the perfect space to duck to after a day at Theme Parks or the movies, open for breakfast and lunch Tuesday - Sunday and satisfying everyone's coffee fix all day long! Treat yourself to coffee and Pancakes, Bruschetta, Smoked Salmon or Pork Belly for breakfast (yes, I said Pork Belly! ), or grab your gal pals and come in for a lunch of Fried Rice, Quesadilla's, Calamari or Seafood Bouillabaisse - A traditional seafood stew complete with Prawns, Salmon and Squid. Oh, did we forget to mention there's plenty of Vegan, Vegetarian and Gluten-Free options too? There's something to suit everyone! We think we've just died and gone to Heaven... Because Harvest Buffet has just re-opened at The Star, and it's now open for a buffet Breakfast, Lunch and Dinner! A long-time favourite for foodies all over the Gold Coast, Harvest Buffet is bigger and better after its re-vamp, serving up the best buffet food on the Gold Coast every day of the week. Open from 6:30am, start your day off right at their breakfast buffet with every breakfast dish imaginable, or book yourself and your friends in for lunch or dinner and enjoy an incredible range of Seafood, Roast meats, Soups, Salads, Pizzas, Pastas and more! Offering a Prawn Buffet from Monday to Friday and a premium Seafood Buffet every weekend, you're certainly not short on choice here - The only question is, what are you going to eat first?